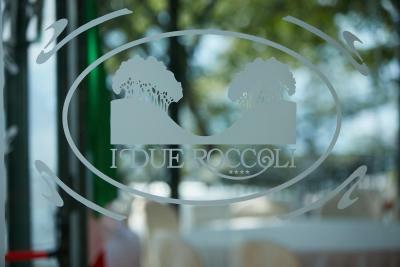 Lock in a great price for Relais I Due Roccoli – rated 9.1 by recent guests! The hotel was classic. Perfect wedding location with high end restaurant and gathering locations across the property. It was quiet, historic (for Americans), classy and far more than I expected. The view of the lake was 180 degrees of spectacular. Every day the housekeeping staff would leave us a surprise. Ribbons on the towels, an apple, a bowl of fruit, or bouquet of flowers, always thoughtful and special. Breakfast was wonderful for 10 Euro each. Fresh squeezed orange juice, ripe fresh fruit varieties, eggs to order (ham, cheese omelet was my favorite), and of course Italian pastries. Enjoy silence at a superb location :) We had a family stay at Relais I Due Roccoli that was Exceptional! Staff was very attentive with high level of hospitality. Place and views are also great! Thank you Relais I Due Roccoli So-So much for a fantastic experience! We stayed at the standalone villa, which was quite a walk from the main hotel. It was very spacious and quiet. The view from the restaurant of the lake was amazing, and the breakfast was very tasty. We stayed in the Cottage in the grounds with its own small but delightful swimming pool. Hotel restaurant is wonderful and very accommodating towards children. The hotel staff were very helpful. Amazing location. Very good dinner.Large bathroom. Comfortable bed. Breakfast on the terrace , you can outlook the lake, island. View, kindness of the staff, quietness, very good restaurant. You want to stay there all your life. Both dinner and breakfast were very enjoyable in two different locations ( breakfast overlooking the lake) and resteraunt staff were very friendly and helpful. The food delicious and good value compared to other similar hotels in the location.The room was comfortable only negative was the less than good shower over the bath- which did not have a plug! Relais I Due Roccoli This rating is a reflection of how the property compares to the industry standard when it comes to price, facilities and services available. It's based on a self-evaluation by the property. Use this rating to help choose your stay! One of our best sellers in Iseo! Relais I Due Roccoli is a historic hotel, located just 2.5 miles from Iseo and offering panoramic rooms with views of the lake or of the surrounding park. The Due Roccoli is set in an ancient villa, with an 18th century small church and different panoramic terraces. The restaurant offers an elegant outdoor dining area and a refined menu. When would you like to stay at Relais I Due Roccoli? Air-conditioned room with a balcony, TV, a mini-bar and a private bathroom. 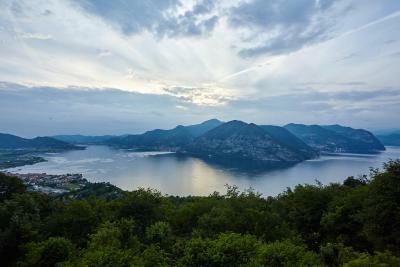 Air-conditioned room with a balcony with views of Lake Iseo, a TV, a mini-bar and a private bathroom. Offering lake views, this suite features a suite, a bedroom and a separate living area. Offering park views, this suite features a suite, a bedroom and a separate living area. Boasting a private pool and private parking spot, this chalet is 984 feet from the main building. It includes a bedroom, a separate living room, and a bathroom. House Rules Relais I Due Roccoli takes special requests – add in the next step! Relais I Due Roccoli accepts these cards and reserves the right to temporarily hold an amount prior to arrival. Please inform Relais I Due Roccoli of your expected arrival time in advance. You can use the Special Requests box when booking, or contact the property directly using the contact details in your confirmation. We hired e-bikes from Iseo which made this hotel very accessible (20-25mins), otherwise you will need a car. Intimate and private, very very relaxing and the best views I've experienced. Fantastic breakfast and dinner and very helpful staff. Room and bathroom was larger than average with a private terrace. We'd certainly return. Great view of the lake from the balcony. 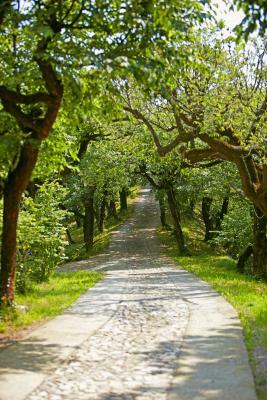 The long walk between the villa and the hotel, and the very remote location of the property. When sitting outside our room relaxing late afternoon after a busy day there was constant traffic noise( mainly loud motorbikes) from the nearby road but we were there during a public holiday so the road could have been much busier than usual. No being able to view the lake whilst having dinner . 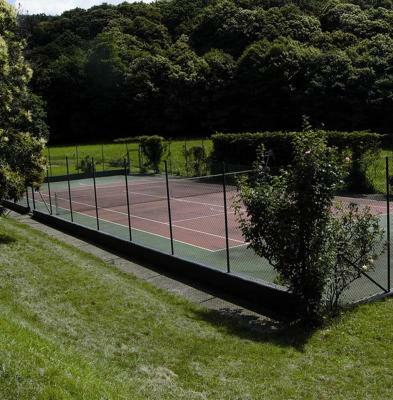 A lovely hotel in a tranquil setting with lovely ground to walk around. Rooms were spotless and breakfast plentiful. The view from the room is spectacular so if you’re booking I recommend you book a room a with a view as the only other place you can really see the view is from the breakfast room which is not the same as the restaurant. The restaurant off is quite pricey although good enough. The view form the retaauaurnt is looking out to the gardens not the lake which I think is an opportunity. Issued by the hotel . The only real negative is that there are tons of wasps around the hotel (especially in the pool area but also in the balconies of the rooms) due to its location in the woods. Also, the A/C broke down in several rooms one night (which apparently happens now and then). However, these "minuses" pale in comparison to the positives - this is a great hotel! Beatiful hotel in a park-like setting with spectacular views of the lake. The staff are very helpful and do their utmost to make your stay enjoyable. Both the dinner restaurant (overlooking the park) and the breakfast area (overlooking the lake) are beautiful and the food is very good. Definitely worth paying for breakfast. Would recommend opting for a lake-view room, although the park-view rooms are also very nice. The hotel is located a bit out of the way from town, but that didn't matter much to us and almost adds to the exclusive feel of the hotel. Would absolutely stay here again if I was in Iseo - hell, the hotel in itself is probably worth a trip to Iseo.